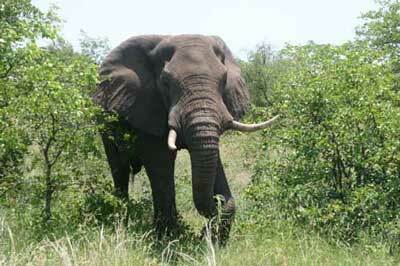 Approximately 3-hrs drive north of Johannesburg is South Africa's forth-largest Big 5 Game Reserve of "Pilanesberg". This Malaria Free Safari Park is situated in 50,000 ha, and encircled by four rings of hills formed 1200 millions years ago by an ancient alkaline volcanic crater. In 1979 Operation Genesis involved what was at the time the largest translocation of wild game ever undertaken. Today Pilanesberg is the home to some 7000 animals, including the Big 5; Rhino, Elephant, Buffalo, Lion & Leopard as well as hyena, Cape hunting dog, sable antelope & cheetah. Pilanesberg is situated within the transitional zone between the dry Kalahari and the wetter Lowveld commonly known as "Bushveld", creating diversity for more than 350 species of bird, 65 reptile species, 18 amphibians & thousands of other smaller animals. 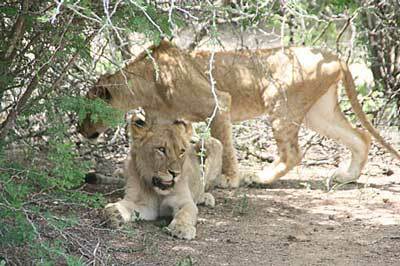 For those wishing to stay overnight; accommodation can be arranged in one of the nearby Bush Lodges or in Sun City; refreshments are available at selected locations while on route during the Bush Drives. This KwaZulu-Natal Safari Park was proclaimed as a protected area in 1895 together with St Lucia making it one of South Africa's oldest game reserves. 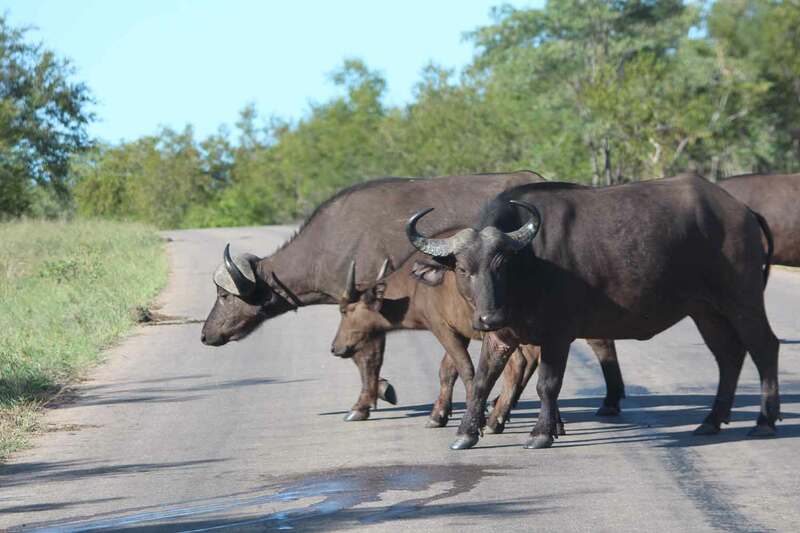 The corridor between the two parks was proclaimed a game reserve in 1989 thereby linking both reserves to form the Hluhluwe/Umfolozi game reserve of some 96,000 hectares in size. The park as become famous for the conservation of the Black Rhino and the White Rhino, it was here that the White Rhino was saved from extinction. The park is now making extensive efforts to save the Black Rhino from the same fate, in the past 15 years the Black Rhino numbers in Africa have decreased drastically from 14,000 to below 2,000. It is estimated that almost twenty percent of the world's population of both Rhino occur in the park. This Big 5 Game Reserve is noted for its wide variety of bird and animal life, with Lion, Leopard, Buffalo, Elephant and Rhino as well as wild dog and many antelopes that roam freely in the park.